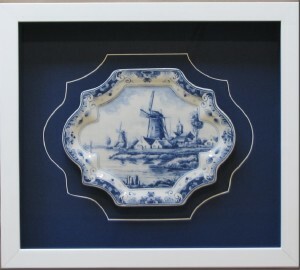 This Delft plate was our client’s latest acquisition from a recent trip to visit family in Holland. She didn’t want to just hang it on the wall where it could get dirty or broken, so she brought it into us for framing. We wanted to keep the design simple. 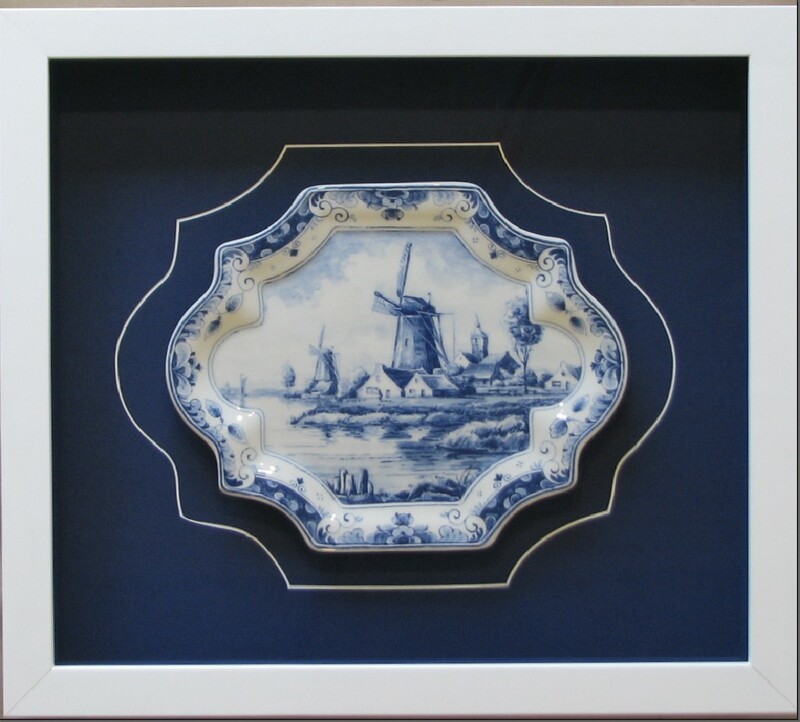 The plate is attached to lapis blue matting and shadowboxed in Larson Juhl’s deep white confetti frame… but for a little something different, we came up with the idea of echoing the plate’s shape with a v-groove cut into the blue matting. Using our camera set-up and our Wizard (computerized mat-cutter), I uploaded an image of the plate and traced its shape into the program. A bit of tweaking here and there …. and voila! a truly custom mat was made. Finished off with Museum glass, it is now a family heirloom to be enjoyed for many years to come.